So there it is. 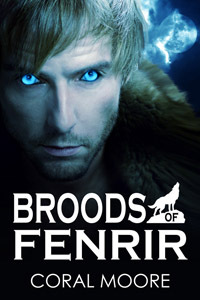 The cover for my first release, Broods of Fenrir, created by the amazing, wonderful Amanda at Razzle Dazzle Design. She was a joy to work with and I highly recommend her. I didn’t give her much to start from, because honestly going into it I had no idea what I wanted, but she created a cover with just the right feel. Since I’m gushing about my ‘team’ I’ll give a shout out to my editor as well, Lynn at Red Adept Reviews. She has gone way above and beyond the call of duty, though I’ve been difficult and downright neurotic at times. I’ve learned so much about how to write better from her. Right now I’m writing up the inside matter, putting the finishing polish on the blurb, and once I make one last read-through it will go off to my formatter, Alan at Indie Book Lounge. Although he and I have only traded a few emails back and forth so far, he’s helped me with questions I had no idea how to answer for the design of my print cover way in advance of me sending him anything. MeiLin over at The Blurb Doctor helped me punch up my blurb. 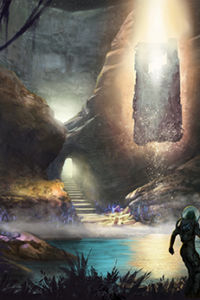 I’ll be unveiling the new hotness in the next day or two. She asked some great questions during the process that actually helped me understand my book better, believe it or not. Once I have the formatted book in my hot little hands I’ll be able to figure out when the release will be. You guys will definitely be the first to hear as soon as I have a date. GORgeous cover! Looking forward to the release. AND we have the same editor. LOL. I wonder if she’s asking herself what’s up with the Norse urban fantasy all of a sudden. Very nice cover. I love the “of”! You gonna use “of” in all the titles of this series? Well I hadn’t thought of it before now, but it’s a good idea! I could make them all ‘whatever’ of Fenrir. Wow, This deserves a full congratulations instead of the shortened version of the word. Now if I could do it it caps. And thanks for the link to Red Adept. I was thinking of using a professional editor. One I tried to connect never sent me a response. There seemed to be something wrong with the contact button so she may have never received my E-mail. Well, the wonderful thing that Lynn offers is a sample edit of your first few pages along with your quote. She’ll also tell you at that point if she thinks it’s not ready for an editor and you need to spend a bit more time on certain areas before paying for an edit. And sure, I’d love to do an interview. I will start to plan some blog stops as soon as I have the formatted copy back so that I can send it out for reviews at the same time. Oops, thought of something after I left your blog. Alan might be on something with the “of” BTW. But when the time comes Can I interview you for my blog???? Plus I want to do some interviews like you do. Wow, Coral, absolutely awesome! Great, great cover. Completely projects the genre. I’m so excited for you! You are WAY ahead of me on this one…I’m still thinking about what stories to put up. Good cover. Congrats on your upcoming release. That looks amazing! I love the eyes and the detail of the wolf in the text. Will be keeping an eye out for your release date! Wow, Coral, I stopped by here just to check how things were going, and there was Brand staring back at me from the cover of your book! Great cover for an awesome book. I can’t wait to hear when the release will be!